Pictures/words/numbers should be large and clear. The presentation should be brief. To encourage enthusiasm, you should aim to stop before your child's interest starts to dwindle. Also, be sure to enjoy the presentations yourself! If you're having fun, your child will be that bit happier to participate, even if she is only a few months old. 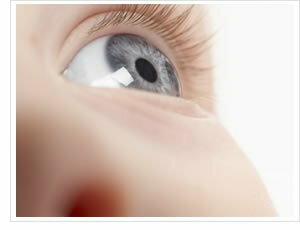 Studies show that babies taught with flash cards develop their senses of sight and hearing faster than other children. As the presentations stimulate your child's brain development, they will unlock her amazing hidden potential! Scientific research shows that kids - and especially infants - learn at a surprising speed. BrillBaby recommends that you try delivering each set of flash cards three times per day for about 10 days. However, as you may not actually continue with every set for the full 10 days (see next paragraph), it is a good idea to make a note of the date when you began showing the set, so you can tell easily when (at the latest) it should be retired. The number of times you repeat a set will of course depend on your child. Follow your child's lead and retire any category that he is showing diminished interest in, even if you have spent less than 10 days on it. Regularly adding new cards and making new sets and playlists will also help maintain your child's enthusiasm for his lessons. There may even come a time when your child only needs to see a flash card once to learn it. If your child looks away from the presentation during a set that you have not been learning for long, do not fret. The most likely explanation is that your little one has a very good memory!